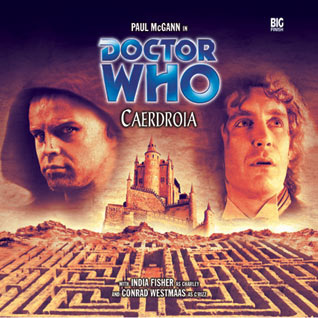 The only thing wrong* with Caerdroia is its cover, so here, have some better CD art. Above is the alternate Big Finish cover. No, I don’t understand why they ditched it. Also here’s a couple options from Simon Hodges, whose library of custom cover art is worth browsing to spruce up your Big Finish collection. The Doctor, Charley and C’rizz finally get a chance to turn the tables on the Kro’ka— at least a little bit— and find out something about the world-hopping lab experiment they’ve been subjected to ever since the Doctor and Charley arrived in the Divergent Universe. They’re on the trail of the TARDIS now, and they’re finally discovering a few answers. *Okay, no, it’s entertaining, but it’s not 10/10. It’s just such a relief to have a genuinely fun Divergent Universe story. The plot’s thin, a lot of it is corridor-crawling and monster-dodging, sometimes I couldn’t figure out who was speaking, and there’s a few shaky leaps of logic, but that doesn’t matter. When the regulars are enjoying themselves, and whoever’s playing the Doctor is given a chance to stretch his acting wings, the result is an enjoyable and lively performance. It also helps that the characters sound like themselves. India Fisher’s back to the adventuresome but peppery Charley who’s fun to be around, C’rizz has finally developed a good rapport with her and the Doctor, and Stephen Perring, who plays The Kro’Ka, has a whole deli’s worth of ham. 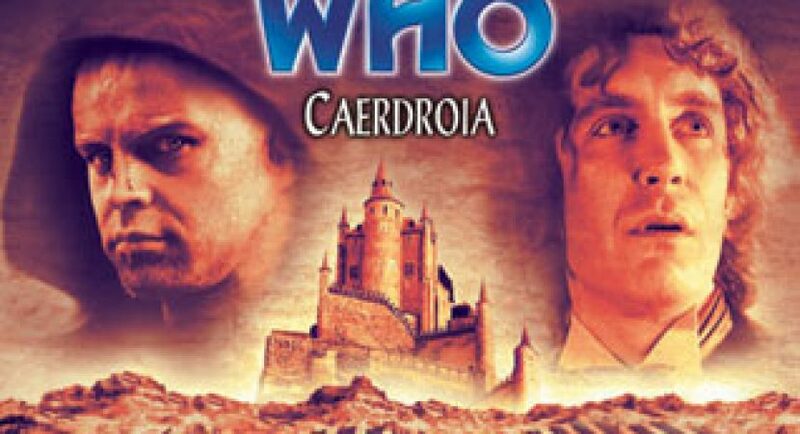 It feels like author Lloyd Rose paid Big Finish a doctor’s visit, wiping off their lenses and refocusing their instruments to help them “see” the Eighth Doctor properly again. The scenes between him and Kro’Ka offer a thoughtful study of Eight’s character. Now let’s see if this portrait carries forward. I hope so. I missed him. It’s not a masterpiece, but it’s the first audio from the Divergent Universe arc that I’d enjoy listening to again. Yikes. Breaking the Doctor into triplets was fun, although it seemed as if there was the normal Doctor plus good and evil twins. Or, perhaps, his better and worse halves. That Eeyore Doctor is the one who picked up a rock all those years ago, prepared to bash Za’s brains out. I don’t like him any more than Charley does. I’m so, so glad to hear the flakey one from the movie again; he was sweet. I still don’t quite understand how the TARDIS could’ve died in Scherzo, and now she’s back and shipshape. I suppose it’s not the first time she’s been destroyed and regenerated, but since her “death” was part of the drama of that story, I would’ve liked some comment acknowledging that it’s a miracle she’s returned. Also, I still don’t see how this universe can’t have time, when events in these stories unfold one after the other.